Heartworm prevention is hugely important because treating heartworm in dogs is difficult, lengthy and somewhat expensive. 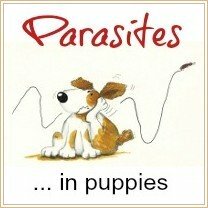 Plus, a heartworm infestation is extremely dangerous to Fido. Symptoms of heartworm infestation usually don't appear until your pup/dog is very ill, and left untreated it can be fatal. Heartworm preventatives work by killing heartworms while they're in the larval stage, before they become adult and begin to cause real damage. If he hasn't been adequately protected, and your dog does develop a heartworm infestation when you catch the disease early enough it can it can usually be treated effectively... but this is a situation where prevention is definitely better than cure. Heartworms have a long life-cycle, and early symptoms are pretty much non-existent, so prevention is the only way to really keep Fido safe. 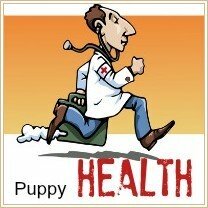 You should start your puppy on a heartworm preventative medication as soon as he's 8 weeks old. 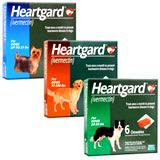 Lots of vets give a free sample of Heartgard for pups at their first puppy check up, after that it's up to you. These medicines need to be given once a month (without fail), during mosquito season and it's best to start one month before mosquitoes appear and ending one month after the season ends. Many vets now recommend year-round protection just to be safe. The states with the highest incidence of heartworm are Arkansas, Louisiana, Mississippi, Tennessee and Texas, but the majority of the northern USA is affected. 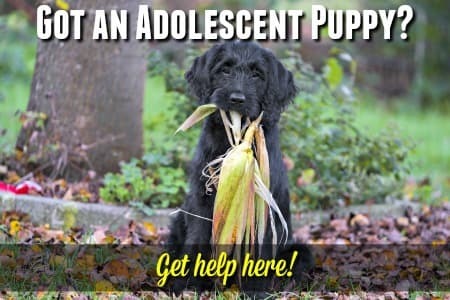 If you have a puppy who is older than six months, or an adult dog, who hasn't been given heartworm preventatives regularly, always have your veterinarian give him a heartworm test BEFORE starting him on a course of medication. This is essential, because if you give heartworm prevention medication to a dog with an active heartworm infestation it can cause a very dangerous reaction to the die-off of the worms in his body. This can cause his body to go into shock, or be fatal. 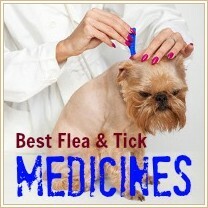 The most popular and commonly used medications for heartworm prevention are very safe. Bad reactions are rare when the medicines are given in the recommended, prescribed dosages. 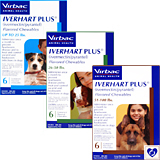 Some breeds are extra-sensitive to Ivermectin (the active ingredient in many of these products). This makes them super-sensitive to certain drugs and even a small dose can be toxic enough to kill them. If your pup is a collie, sheepdog or a mix that includes either of these, you absolutely must talk with your veterinarian about what type of heartworm preventative to use. 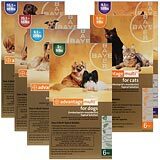 A newer heartworm prevention product called Advantage Multi is thought to be safe for these breeds, but listen to your own vet's advice as to whether or not your pup/dog should take it. These can include dilated pupils, tremors, vomiting, diarrhea, loss of co-ordination, collapse. 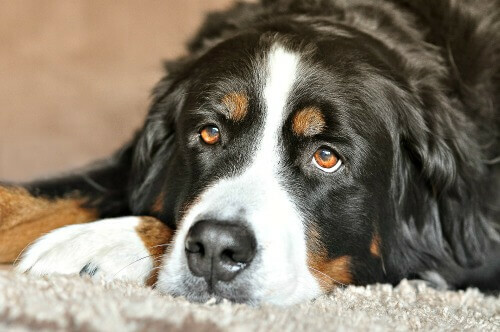 If you notice ANY of these, get your dog emergency veterinary help immediately! 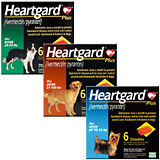 There are a range of heartworm prevention products you can use to protect your puppy or dog from infestation. Some medications simply prevent heartworm, others also prevent or kill other parasites such as roundworms, hookworms, tapeworms, whipworms or fleas. 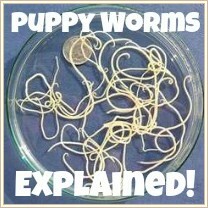 Many of them contain the active ingredient Ivermectin which is the drug most often used to kill heartworms. For breeds who are hypersensitive to Ivermectin, there are products containing alternative active ingredients including Milbemycin Oxime and Moxidectin. 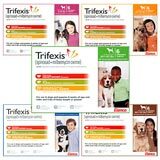 These ALL need to be given, or prescribed, by a licensed veterinarian - they are NOT available over the counter without a prescription. This is mainly because giving heart worm medicine to a dog who already has an active infestation could prove fatal (as mentioned above). So the regulations are in place to protect your pet. 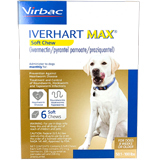 For puppies & dogs over 6 weeks of age. * Considered to be safe for collies & herding breeds, consult your vet for info. The above information should help you decide which heartworm prevention product is best for your puppy or dog - but your own veterinarian is the expert! Mosquito prevention is also important! Heartworms have been a problem for dogs for a LONG time, and even with the use of regular heartworm prevention the incidence of heartworm infection is still increasing. Because heartworms are transmitted by infected mosquitoes, researchers and veterinarians are now recommending that dog owners also pay extra attention to mosquito control in addition to giving heartworm preventatives. Don't just rely on heartworm prevention to be 100% effective, double up by making sure to keep mosquitoes at bay as much as possible. 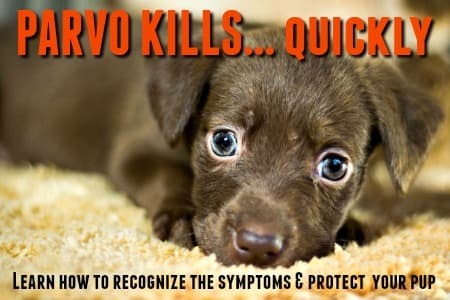 Also, ask your veterinarian to test Fido for heartworms annually, this quick test can give you a heads-up if there's a problem, and is a potential life-saver!